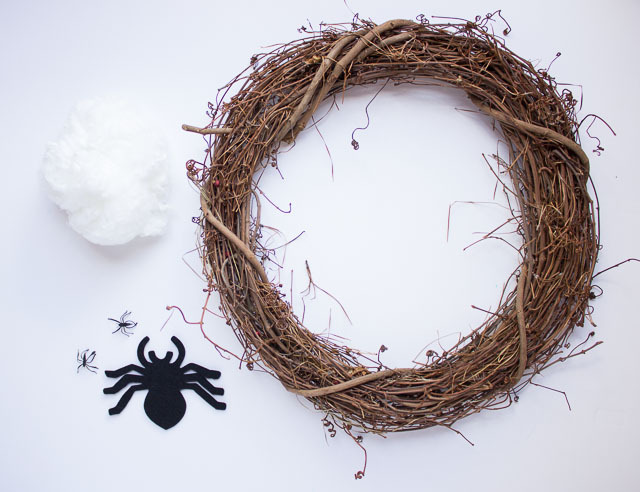 I’m officially kicking off Halloween crafting with one of my favorite things to make – a wreath! 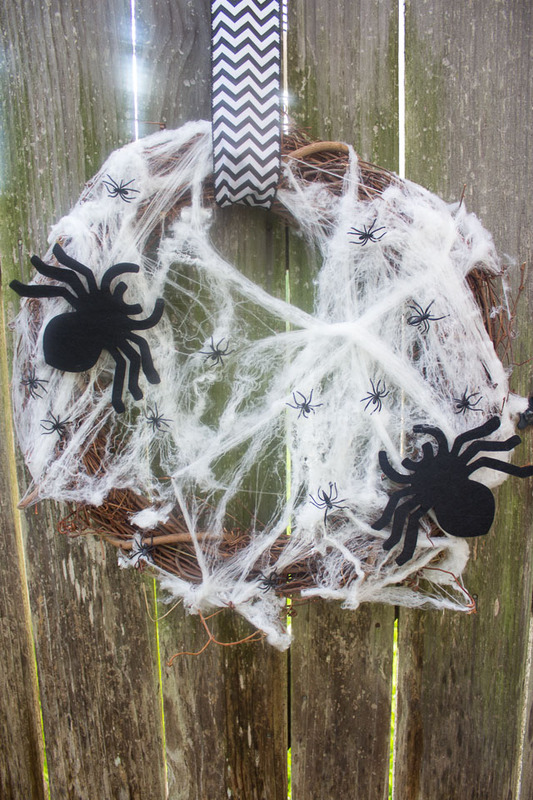 I’m telling you, it doesn’t get much easier than this wreath. 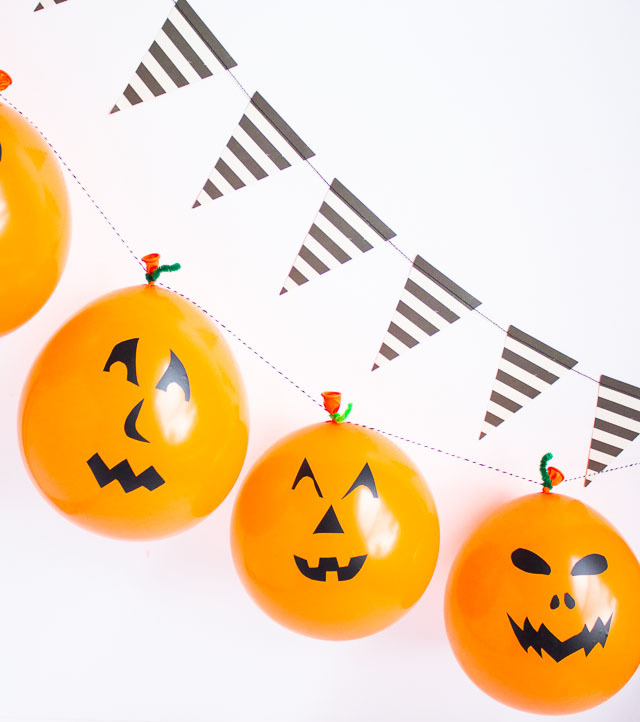 If you’d like to make something handmade to decorate your house this Halloween, but don’t want to spend more than 5 minutes doing it, this is the project for you. Read on! 1. 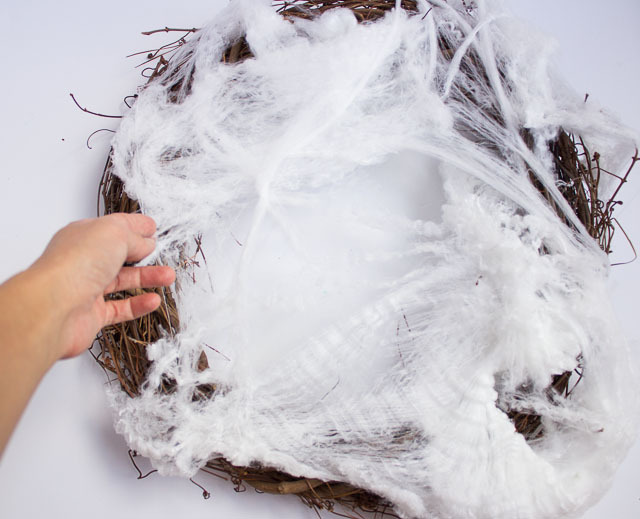 Take a chunk of the spider web and start stretching it across your wreath by catching it on part of the grapevine and pulling it across to the other side. Keep stretching until you get the look you want, adding more web or trimming as needed. 2. 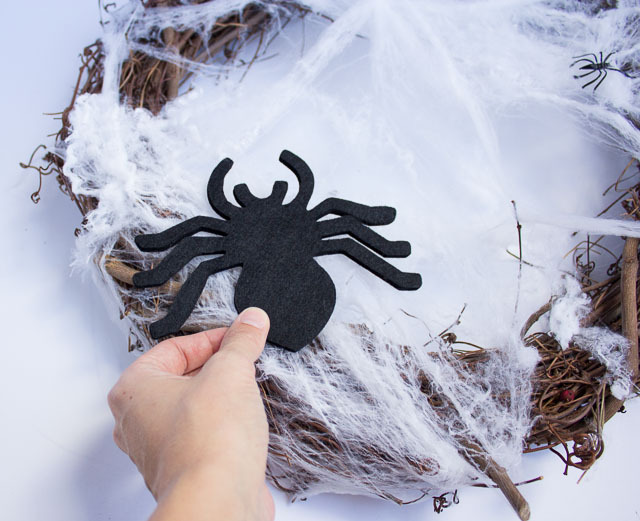 Position the big felt spiders where you want them on the wreath. 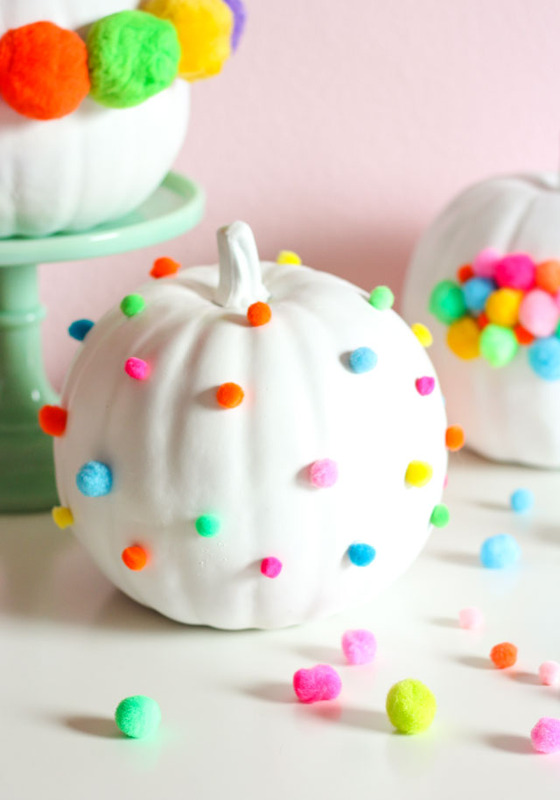 You can add a dab of hot glue to the back to secure them in place. 3. 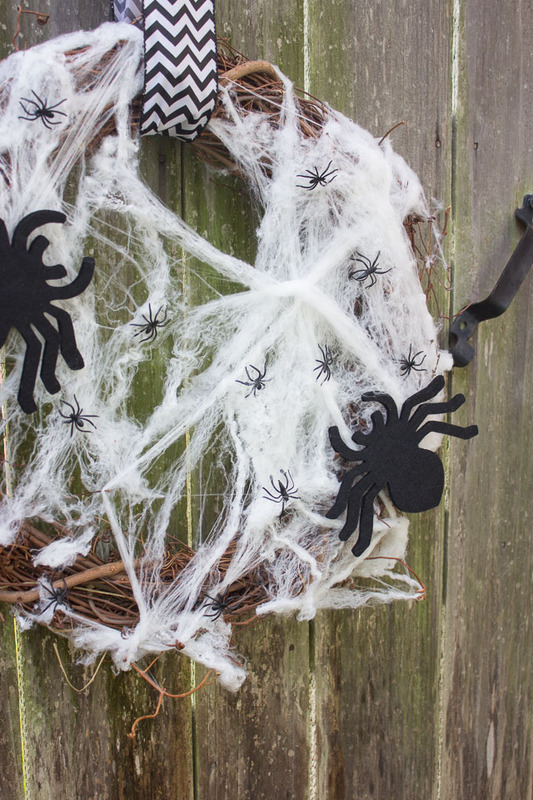 Fill in the rest of the wreath with little plastic spiders. 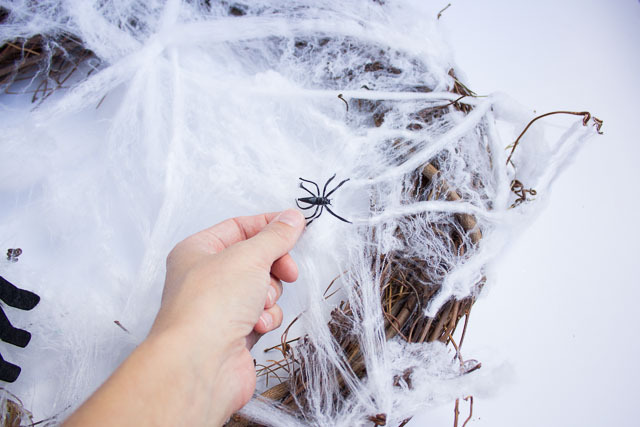 Their legs should catch easily in the web without requiring any extra glue. 4. 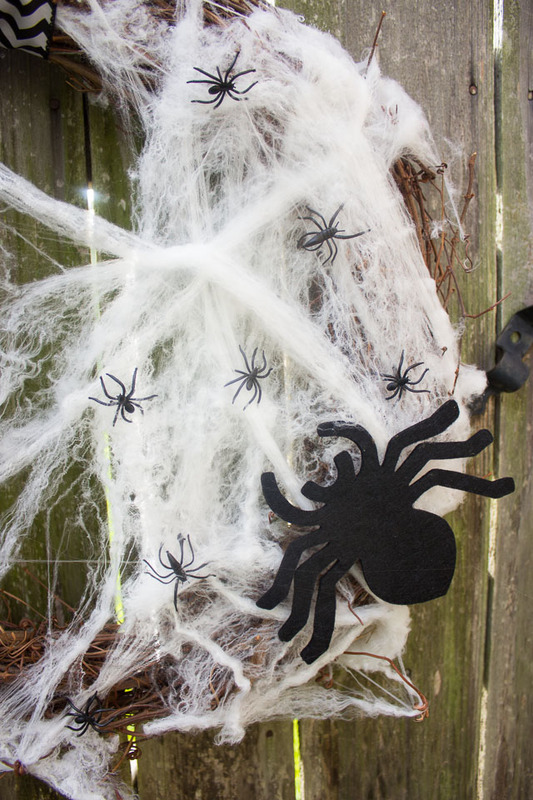 Add as many spiders as you want and then hang with a ribbon. 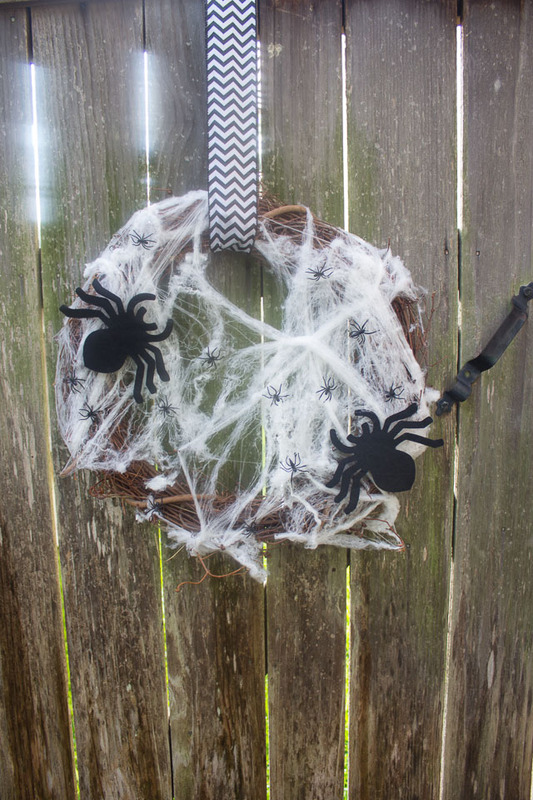 Five minutes later you have an awesome handmade Halloween wreath!